Westbridge Foods offer a vast array of Fish & Seafood products. 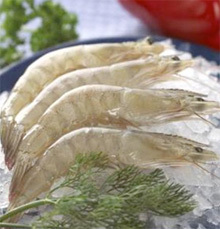 We offer Cooked and Raw White Vanamei Shrimp in all the peel and de-vein formats you could require. We recently introduced ‘Clean ingredient declaration Surimi’ into the UK and have many added value Surimi based products available to source.